How much does it cost to keep a Kenyan child in school? A decade ago, Gates professor of developing societies Michael Kremer found that improving school attendance among Kenyan children may be a $3.50-a-year problem. That’s because—like one in four people around the world—many Kenyan pupils suffer parasitic-worm infections, and the resulting conditions, such as anemia, often make the children too weak to go to school. Kremer and his colleague Edward Miguel, Ph.D. ’00, discovered that a Kenyan project that distributed deworming drugs to schools reduced absenteeism by a quarter, and the cost per additional year of school participation per child was only $3.50. The program even had a positive impact on neighboring schools that did not receive the drugs. “These spillovers alone are sufficient to justify not only fully subsidizing deworming treatment, but perhaps even paying people to receive treatment,” the researchers wrote. “The key thing is moving to scale,” explained Erik Nielsen, a member of Evidence Action’s board of advisers. “Many development projects tend to work in these 10 villages, or these 15 communities. Evidence Action is working with millions and millions of households to achieve the greatest scale possible.” Deworm the World Initiative, which supports governments’ school-based mass-deworming programs, has already reached about 165 million children this year. The program, incubated by the research network Innovations for Poverty Action and taken over by Evidence Action in order to achieve scaling, has been listed twice as a “top charity” by GiveWell, a nonprofit that evaluates and rates charities to help donors decide where to give. 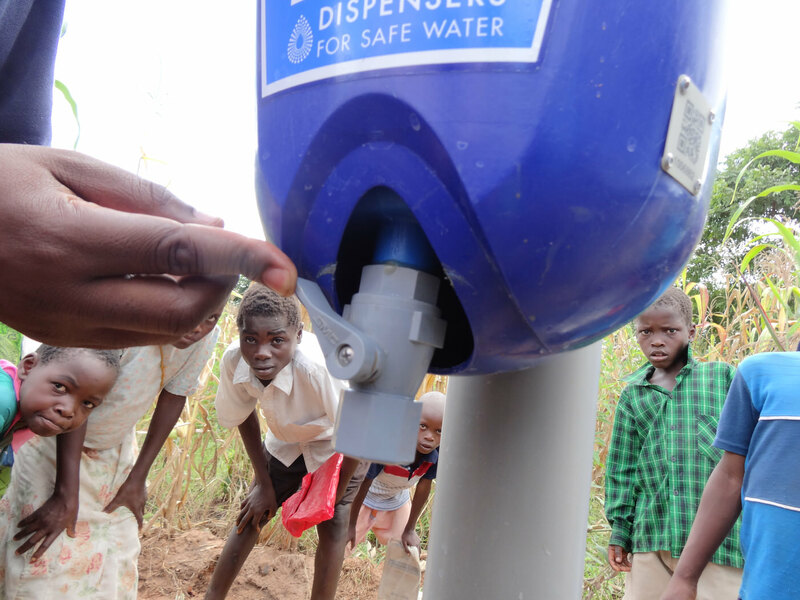 Evidence Action’s other flagship program is Dispensers for Safe Water, a rural water service that maintains chlorine dispensers in communities in Kenya, Malawi, and Uganda that lack access to safe drinking water. Placed directly at a local water source, these dispensers deliver just the right amount of chlorine to disinfect the drinking water. The program currently serves over three million people. According to Dina Pomeranz, an assistant professor at Harvard Business School and a member of Evidence Action’s board of directors, the nonprofit sector in particular needs rigorous impact evaluation because it lacks the market signals the for-profit world enjoys. Businesses know something works when customers buy the product, she said, but “if you give people social services for free,” you may never learn about bad service “because the customer doesn't have a choice.” Now, however, thanks to an "empirical revolution" caused by advances in development economics and quantitative-research methods in the past two decades, scholars are better equipped than ever, she said, to evaluate the cost-effectiveness of international development programs. An evidence-based approach means that the effectiveness of a certain measure is not only proven in empirical trials but also constantly assessed during execution. In an interview, Kremer mentioned a broader movement to adopt such an approach in international development, citing programs such as a campaign to prevent road deaths on Kenya’s minibuses through putting up simple stickers encouraging passengers to “Speak up!” against dangerous driving, and the Mexican government’s Oportunidades program, with its conditional cash-transfer model that has been adopted by many countries around the world. He pointed out, however, that it is neither feasible nor necessary for all global programs to be subject to rigorous impact evaluation: “For example, there is lots of evidence that basic vaccines work, and it doesn’t make sense to say that every country providing vaccination should regularly check if it improves health.” The right type of monitoring, he said, depends on the context. Still, Evidence Action board member Kanika Bahl, a principal and managing director at the nonprofit Results of Development Institute in Washington, D.C., said the international development community should focus more on compiling concrete evidence of programs’ value, a benchmark that is often eclipsed by factors such as political trends, funder interests, or even the presence of existing donor mechanisms. Pneumonia, for example, kills more children than any other disease, and costs around 50 cents per child to treat. Yet it receives only a small fraction of the funding devoted to pediatric HIV-AIDS—which causes just 3 percent of child deaths—because, she said, the latter has captured the imagination of the world.